Gigi Reyes, ex-chief of staff of Senator Juan Ponce Enrile, reportedly wants to be detained at Camp Crame rather than in Quezon City Jail. According to ABS-CBN News, Reyes had asked the Sandiganbayan Third Division to allow her transfer to the Philippine National Police Custodial Center. Reyes has been temporarily detained at the basement of the Sandiganbayan after she voluntarily turned herself in last Friday. 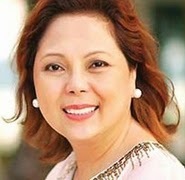 She is facing plunder and graft charges along with several others including her former boss in connection with the pork barrel scam. In a Commitment Order, the Sandiganbayan directed the Security Sheriffs Service "to keep the accused in its custody and not allow the accused to be moved removed or relocated until further orders from the court." "The jail warden of the BJMP is hereby directed to submit a report to the court on whether the BJMP has adequate facility for such detention and the means to secure the person of the accused within three days notice hereof," the document stated. The clerk of court explained that "once the BJMP has rendered its report, then only that time that would the court decide" on her transfer. The Sandiganbayan is expected to decide on the matter Monday. Reports over the weekend said the Bureau of Jail Management and Penology (BJMP) discouraged the detention of Gigi Reyes inside the women's prison cell at QC Jail due to congestion.